Catherine Read has a conversation with Bettina Lawton (Esq.) of Lawton Legacy Planning about legal planning. Bettina Lawton is a licensed legal professional who specializes in legal planning for a client’s eventual death or incapacitation. She deals with people from all walks of life, from single adults to married couples with children to seniors of all financial statuses and helps them plan how to meet their objectives in the event of death or incapacitation. While indisputably important, many people have difficulty talking about, and planning for their eventual incapacitation or death. Over 60% of Americans have no will, or other similar document. According to Bettina Lawton, it is critical that people find a qualified person they can work with in order to make a plan, as even a will alone is not enough. Wills only go into effect after the person has died, so they make no differences in cases where the client is incapacitated or otherwise unable to take care of themselves or others. It is especially important in cases where children are involved, as a failure to have a designated guardian can see children placed into the foster care system when their parents are otherwise unable to take care of them. 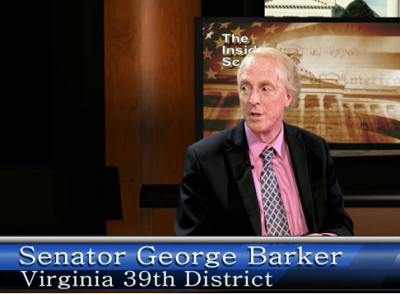 In Virginia, parents can designate whom they wish to take their children using a Standby Guardianship, which grants their chosen caretakers 30 days of authority, which gives time for the courts to work without sending children into foster care. Beyond just having a will in the first place, it is also important to make sure your will is up to date. Laws change over time so what you currently have may have unintended consequences if it is not updated. For example, in July of last year Virginia adopted a fiduciary access to digital assets act, which allows a person to designate a beneficiary to access their digital assets, like photos hosted online. 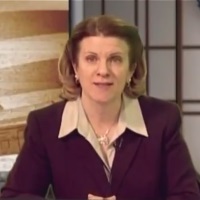 Bettina Lawton recommends reviewing your will and other legal plans every three to five years. Generally, only minor changes will be needed, but they can add up to a big difference to the final result. When planning, it is important to keep in mind the location of your assets. Real estate passes ownership based on the laws of the location it is in, not necessarily the laws of the jurisdiction where the owner lived. Two properties in two different locations are subject to two different laws. This is why Bettina Lawton recommends outside properties be placed in a revocable trust, which changes real estate assets into trust assets and simplifies the process. In Virginia the law now allows for transfer on death deeds, which allows owners to designate a beneficiary who will receive ownership of the deed in the event of the original owners death, allowing property to transfer without going into an estate. In addition to a will, people should also be planning for what happens if they are unable to make medical decisions. A person retains their legal right to make decisions up until two medical professionals agree that someone is unable to make a choice themselves (either due to inability to speak or inability to understand their situation). People need to make an advanced medical directive to designate who can make medical decisions on their behalf. While the state does designate a list of people who can make the decision in the event you have not made plans , it can be very hard on the person who is called upon to make the decision, and they might make a decision contrary to your wishes. It is best to designate someone ahead of time, and to make sure that you have written down what your wishes would be in the event of various medical situations. While it can be a topic hard to discuss, it is important to plan ahead. Doing so makes things easier on those left behind and ensures that you have the final say on how your assets are passed on. According to Bettina Lawton, the best time of year to begin your legacy planning is around the time you pay your taxes, as you frequently need the same fiscal documents in order to make your plans. You need to decide whom it is who can best fulfill your will. Sometimes a spouse or child isn’t the right choice, as financial positions, such as executors, trustees or someone with a designated financial power of attorney needs to either be good with financial details or capable of supervising those who are. You also need to make plans for what happens if your designated person dies or is incapacitated at the same time, or before, you are. 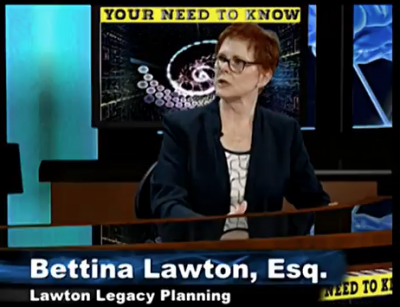 For more information, you can email Bettina Lawton at [email protected] or visit LawtonLegacyPlanning.com for an estate planning guide so you know what information you need and what decisions you should be making. The most fundamental way to reduce the volatility that Americans face is through improvements in job quality . . . the Great Job Shift has resulted not only in lower wages but also unpredictable scheduling, inadequate hours, and less job security. Alongside those challenges are diminishing opportunities for training and advancement, and an erosion of benefits such as paid leave and employer provided health care and retirement coverage. 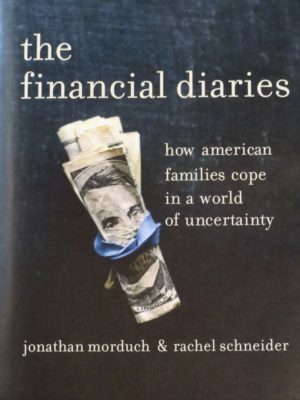 Jonathan Morduch and Rachel Schneider presented the findings contained in their book The Financial Diaries: How American Families Cope in a World of Uncertainty at the Aspen Institute’s Summit on Inequality & Opportunity held in Washington, DC, on March 16, 2017. Researchers followed 235 low and middle-income families for one year and delved into their daily decision making about how they managed their household finances. They were from various regions of the country and represented a variety of family structures, but at least one member of every household (and often more) were working. This is an excellent companion book to Lisa Servon’s The UnBanking of America which also addresses how working people are using every means at their disposal to make ends meet – often without the help of traditional financial institutions. In both books, the strength of the research is in the qualitative approach to understanding the real world context of decision-making. These are people’s stories – real people caught between a rock and a hard place. Data is limited in what it can show us – patterns and practices – but it’s not telling us WHY. What Morduch and Schneider found is that people are struggling with variable income that has spikes and dips that don’t mesh with their financial obligations. Even families whose annual income is sufficient to cover their basic living expenses have months where they dip below the poverty line. Throughout this book the importance of the Earned Income Tax Credit (EITC) kept coming up as the saving grace for families to pay down debt or get back on their feet in February and March of each year. Living hand to mouth does not leave room for unexpected healthcare costs and car repair. Those were the two things that most often imploded a fragile budget because they are necessities. A car to get to a job was a must have for the majority of people in this research group. Which only points to the EPIC FAILURE of this country to invest in better transportation options. And health care costs for those who are uninsured are still forcing people into bankruptcy over unpaid bills. This book covers so much territory in 178 pages. What keeps hard working people down are a confluence of factors – not just one or a few. Some of these we can lay at the feet of businesses who have shifted a certain level of risk from their own bottom lines and placed it on workers – with “just in time” staffing, variable hours and schedules, and no paid benefits. Companies now worship at the altar of profit margins and quarterly returns for shareholders – not investing in their employees as Henry Ford once did so that he created a class of consumers who could purchase what they produced. Other factors include some bad public policy. Most government savings policies – especially tax deductions for retirement savings and housing – were directed toward high-wage employees, not janitors and cafeteria workers. In 2013, the United States spent almost $400 billion in federal tax subsidies for homeownership and retirement savings. That was 30 percent of all federal tax expenditures. About 70 percent of the savings from the mortgage interest and property tax deductions went to the top 20 percent of earners. Almost none went to the bottom 40 percent. The reality of what people are doing to get by should give us all pause. Not enough people in our communities are thriving and the amount of energy required just to survive is not some great American Dream. It is a constant and stressful nightmare that is being handed down from one generation to the next in our post WWII economy. Wage stagnation began in the early 1970s and the picture for the future is bleak unless significant changes are made in the creation of better jobs with basic benefits, public policy that spreads out benefits to all income groups, and the willingness of financial institutions to change how they assess people’s credit worthiness and their investment in services to better support low-income working class people. This precariat are millions of working people in this country – friends, neighbors, colleagues, co-workers and family members. We can’t begin to solve problems we don’t fully understand. This book goes a long way in describing the lives of people all around us in a way they would not likely share with us. That is a very powerful thing in seeing these issues not as ideological debates about masses of nameless faceless people we don’t know, but as humanizing issues of public policy down to the devastating financial impact of a broken down car on a neighbor’s ability to survive in very real terms. I highly recommend this book. I think it will benefit every person who reads it. (Feb. 6, 2017) Catherine Read interviews Winifred V. Quinn, PhD, Director of Advocacy & Consumer Affairs for the Center to Champion Nursing in America. The CCNA is a collaborative effort of the AARP Foundation, AARP and the Robert Wood Johnson Foundation. 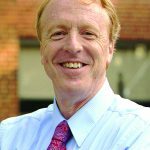 Dr. Quinn talks about the hurdles facing Certified Nurse Practitioners (CNPs) in providing healthcare services in each of the 50 states. Requirements differ from state to state as far as physician oversight/collaboration with CNPs in the services they deliver to patients. States with rural populations have been the first to remove barriers to nurses providing services “to the full extent of their education and training.” More recently, the Veterans Administration has created a policy that allows nurses to provide services to the full extent of their education and training through VA facilities regardless of restrictions in place within individual states. In the second segment, Catherine is joined by Andrea Brassard, PhD, RN, and Senior Strategic Policy Advisor to the Center to Champion Nursing in America. Dr. Brassard still engages in providing clinical nursing services on a limited basis in addition to assisting in CCNA’s policy creation. She brings a unique perspective to the benefits and challenges of allowing Certified Nurse Practitioners (CNPs) and Advanced Practice Registered Nurses (APRNs) to provide a full spectrum of healthcare services for which they have been trained. She points out that Nursing is consistently ranked as the No. 1 “Most Trusted Profession” in the United States and speaks to the varied skills nurses bring to their profession. 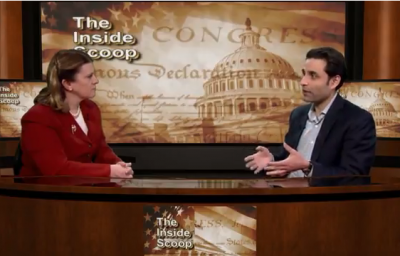 David DeBiasi, Associate State Director of AARP Virginia, joins Catherine in the third segment to talk about how the Affordable Care Act influenced modifications to the physician oversight requirement of Certified Nurse Practitioners here in Virginia. Instead of moving forward, Virginia’s policy moved “sideways.” The tweak to the policy has not allowed CNPs to practice to the “full extent of their education and training” and the resulting consultative/collaborative model has created a business model that doesn’t work for CNPs. While CNPs are required to collaborate with a physician in delivery of healthcare services through file reviews, physicians are not required to collaborate with CNPs. This has created instability in these relationships that undermines the creation of a viable business model. 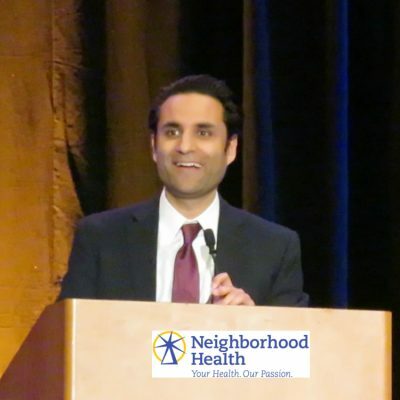 Ultimately, the delivery of healthcare services in areas where there is a shortage of General Practitioner Physicians relies on removing barriers to nurses practicing to the “full extent of their education and training.” This realization that friction points are impacting the delivery of healthcare services have spurred states across the country to develop and pass less restrictive policies. Virginia currently does not have pending legislation in the 2017 Legislative Session. 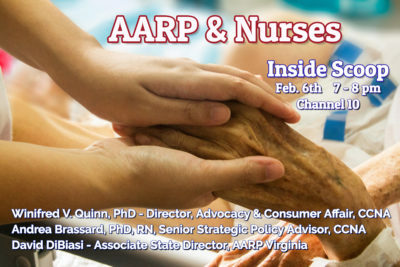 Going forward, it’s in the best interest of the public to understand these issues and why it’s important to advocate for nurses who will ultimately provide the bulk of the care for an aging American population. Nursing is increasingly moving from clinical settings to community settings. Baby Boomers started hitting 65 in 2011 and will continue to hit that benchmark in enormous numbers through 2026. These are savvy consumers who fully expect to “age in place” in their homes and not in institutions. Quality of care for this growing population of Americans hinges on less restrictive policies for CNPs and APRNs and supporting healthcare models that are financially feasible for nurses to deliver healthcare in a variety of settings that meet the consumer’s needs.